Starting this full-time job has got me thinking about how to integrate my passion for caring for people, with my love for cooking/baking, and teaching people how to live healthy lifestyles! I have thought up a few ideas that are nursing-related such as becoming a certified diabetes nurse educator, (where I would teach patients newly diagnosed with diabetes how to eat healthy)...But ultimately, I have already had a chance to integrate my two passions together in none-other than the nursing 'break room'! 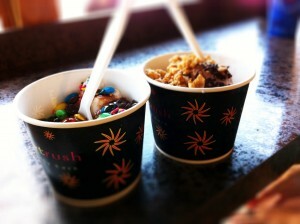 Let's just say..I've been quite surprised by the way many health professionals eat! Needless to say, I 've had quite a few questions about the meals I bring to work, which ultimately has led to many conversations about how to make 'tasty' meals that are healthy at the same time! :) It really is quite simple (and fun) to live a healthy lifestyle, and I have found that most people want to, but they just don't know where to begin! That's where my passion comes out, and before you know it, I feel like i'm teaching a cooking class in the break room! So, who knows...God may have me there for the time being just to touch one of the lives of the nurses that I work with! Whatever it may be though, I just want to be a blessing to someone and make a difference in someone's life where i'm at! 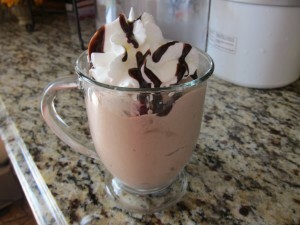 For breakfast I had Chocolate Protein Ice Cream!!! I simply made my Protein Ice Cream, and subbed cocoa powder for the peanut butter, and left out the banana! Delicious!!! For lunch, Sean and I went on a date to our favorite restaurant! 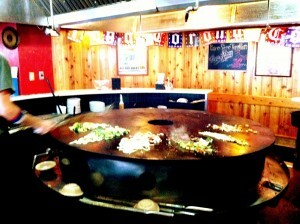 Mongolian BBQ!!! 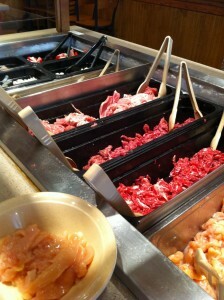 First is the 'Meat Station' where they have just about every kind of meat (and tofu) you can imagine! 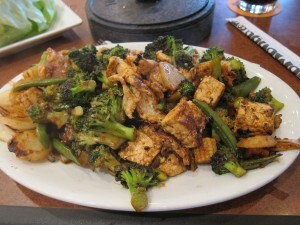 I get Chicken Breast, and Tofu~ my two favorite protein sources! Next is the 'Pasta and Veggie Station'...This is my favorite station...and I love to pile my broccoli, zucchini, snow peas, water chestnuts, pineapple, and onions very high! And lastly is the 'Sauce and Spice' station, where I get Soy, Teriyaki, and a garlic and seasoned salt mix to sprinkle over my bowl! 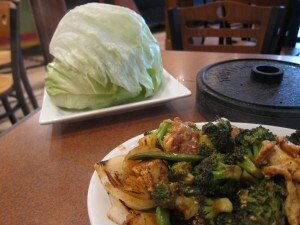 I generally eat my bowl with lettuce wraps! 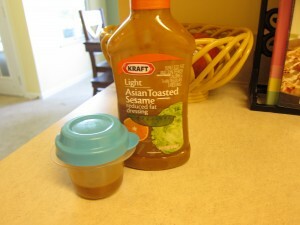 For dinner I made a large batch of my Chicken Asian Salad, and because I was still very full from my huge lunch... I ate a small portion, and saved the leftovers for my work week dinners! 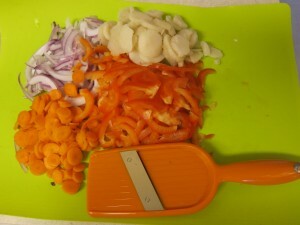 I love my $5.oo veggie slicer I got from Marshalls...It cuts my veggies to the perfect size for salads in seconds! 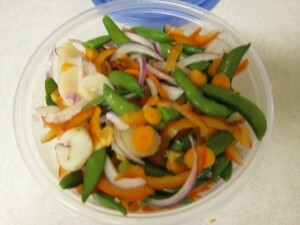 I mix it all up, and put it in a large tupperware, so I can grab a nice 'Mix of Asian Veggies' in a jiffy for each salad! 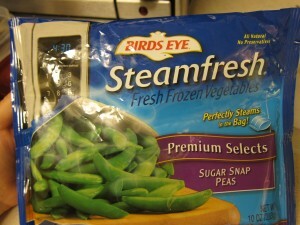 I like these SnowPeas for my salads...They add the perfect crispness to the salad! 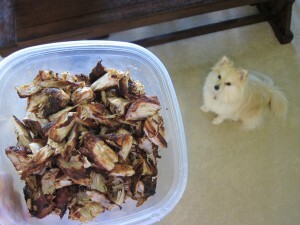 I used 'Leftover Teriyaki Chicken' that I shredded up to bite sized pieces so they would be the perfect size for my salad fixins! 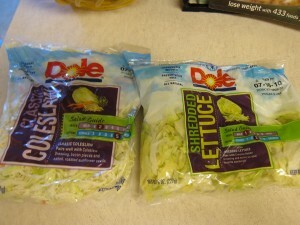 I combine these two pre-packed lettuce mixes for the perfect 'texture' for this salad! 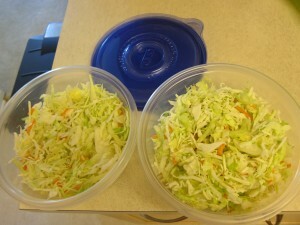 :) The Coleslaw Mix gives the Shredded Lettuce a nice Crunch! I put them in big Tupperware containers so it's easy to throw the salads together on the weekdays! 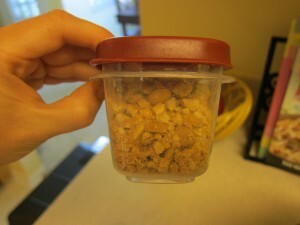 I also bring some Crushed Nuts to sprinkle over the top! Now I want to hear from you!!! 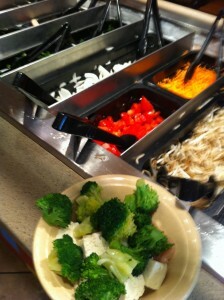 Have you ever been to Mongolian BBQ?! If so what do you get!? Also...What do you like to do on your days off!? !